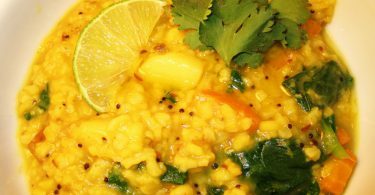 One of the most important concepts in Ayurveda is digestion. When you know how to improve your digestive system, you have the key to your health. Ayurveda refers to the digestive principle as Agni (aug-nee). Agni is a Sanskrit word and the root of the English word ignite. Agni is literally translated as the fire within the body or that which has the power to transform one substance into another. Digestion is a process of taking the intelligence of food and transforming it into you! Just think…every cell in your body has been created by a transformation from food. If you are digesting food well, the result is healthy cells and body tissue; if not, then the disease process has already begun as undigested food is considered toxic to the body. To be clear, one type of digestion (determined by your dominant dosha) is not better than another… Each has its advantages and drawbacks. 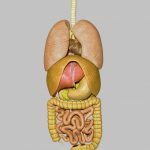 The important point is that you know what type of digestion you have so that you can make maximum use of the type of digestion you were born with, and work to improve it as much as possible. 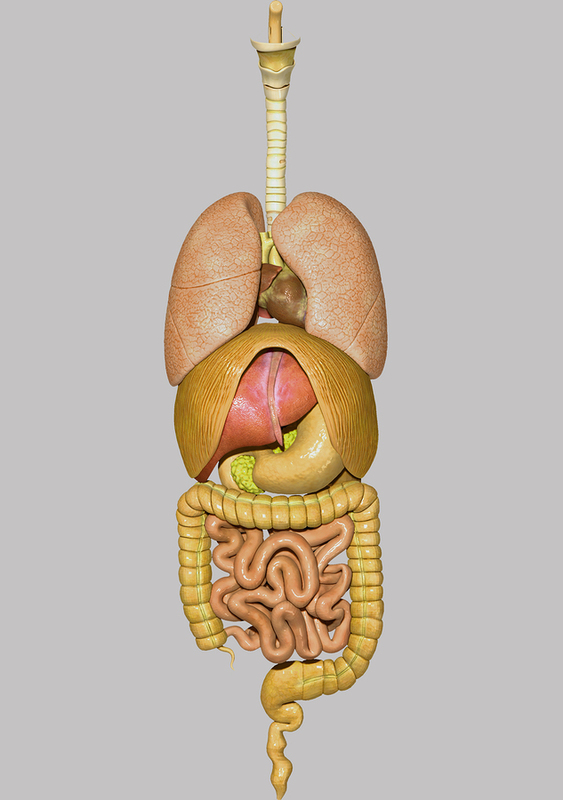 In the human digestive system, the process of digestion has many stages, the first of which starts in the mouth (oral cavity). 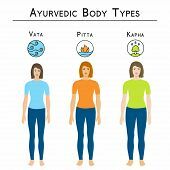 If you suffer from digestive problems such as gas, bloating, heartburn, constipation or fatigue, (over 90% of American's do), then Ayurveda offers many simple solutions to support you in healthy digestion. This is likened to putting cold water on burning logs. Iced water extinguishes the digestive fire. Even juice or milk straight from the fridge is too cold for digestion and should be taken at room temperature without ice. Once you get into the habit of drinking beverages at room temp, you will notice a dramatic improvement in your digestion. Cold foods and foods mixed with warm cooked foods can cause gas and bloating and general discomfort in the stomach area. Ayurveda follows the rhythms and cycles of nature. Just as the sun is highest and hottest in the sky at mid-day, (between 10 am – 2 pm, so too is your internal fire (agni). Agni is associated with the sun. This is one of the many ways Ayurveda seeks to connect our mind and body with nature. As the sun goes down so too does your digestive fire, so aim to eat 75% of your food before the sun sets each day. Another way to improve digestion is to fire up the digestive fire with ginger. 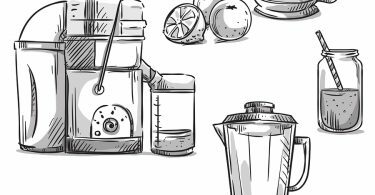 You can make a Ginger Elixir to take just before meals. Start with 3-4″ piece of fresh ginger. Grate the ginger and add the juice of half a lime and a dab of honey and sprinkle of black pepper. Use your thumb and index finger to pinch and eat. Chewing well requires your attention to be on the food in your mouth. There is no magic number of times to chew your food but chew it longer than you usually do. Chewing (breaking the food down) improves digestion and absorption of the food. Following your meal, let your food digest some (15-20 minutes) before going on to the next activity. In Ayurveda, it is a common practice to lay down and rest on the left side of the body after a meal. The stomach and pancreas (which make digestive enzymes) hang like a sling on the left side naturally allowing for optimal digestion. Also,for a slow walk can aid digestion greatly. The energy of the cook is always in the food, so aim to eat food prepared by someone who loves you. Avoid food prepared with anger or resentment. Your emotions affect your digestion too. Always aim to eat in a comfortable place and don't eat if you're angry or upset. It can sour the food in your stomach. If you eat again before the previous meal has been digested (it takes about 3 hours) it complicates the digestive systems ability to make digestive enzymes for different states of digestion. Digestion is the single most important principle of health. 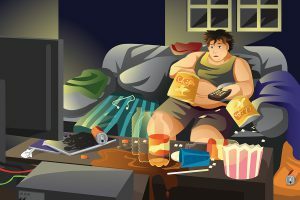 When food is not digested correctly, toxins build up and begin to invade the body. If you are not digesting well, you can usually see the evidence of a coating on your tongue. The best time to check your tongue for coating is in the morning. If you have a coating, it means you're not digesting well…so begin to incorporate the how to improve your digestion guidelines above, and you will soon see your health and energy significantly improve. This is really good info! Thanks for sharing the different types. It’s good to know how your body is going to react and what to expect. I especially get that cold drinks don’t work well as they ‘quench the fire’. Makes perfect sense to me, and no wonder I never cared to drink as I ate. Wow such awesome info! I had no idea people were born with different types of digesting! I really liked the room temp water idea. It’s currently 116′ where I live and I am a huge room temp water drinker. I have seen some people cramp terribly from chugging ice water. Dumb idea. Your site is fascinating and very different. I had never heard of Ayurveda before. The test is very comprehensive and I’ll look forward to seeing my results and determining my unique Dosha. You’ve done a really good job engaging visitors with that! I appreciate the ten tips to improved digestion also. Well done! Thanks so much Linda and glad you enjoyed the article. It truly is a blessing for me to have come upon your site! I have digestion problems for sure and I’ve learned so much just by reading your tips on how to improve digestion. I am going to practice them regularly because I know that doing so will make a huge difference. I’ve developed some very bad habits and that is why I am having problems now. I can’t thank you enough for reminding me of the importance of digestive health! Your site is absolutely beautiful and I will be back to read some more! Thank you Anna! I’m so glad we found each other too! 🙂 Thanks for your comment!